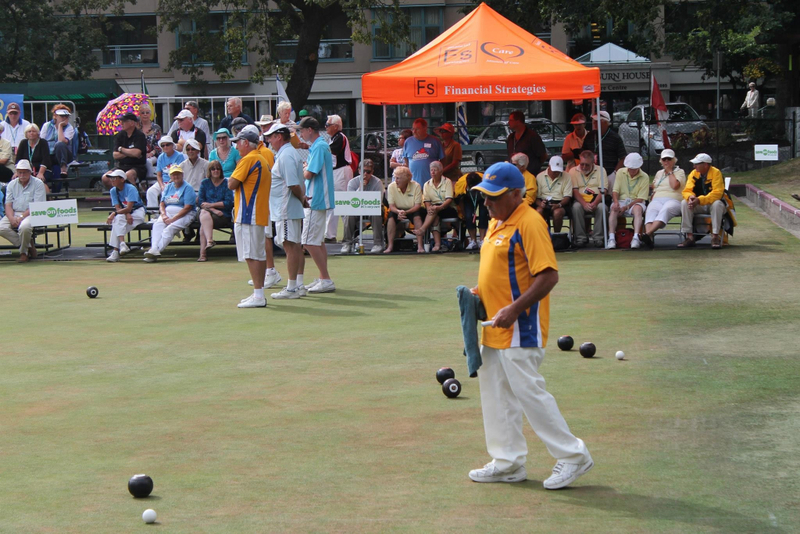 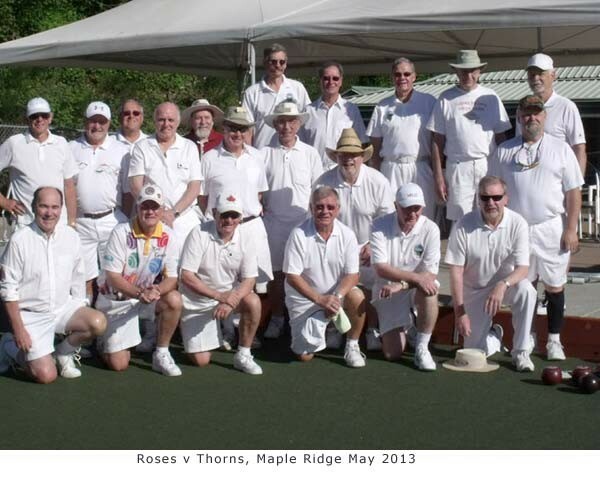 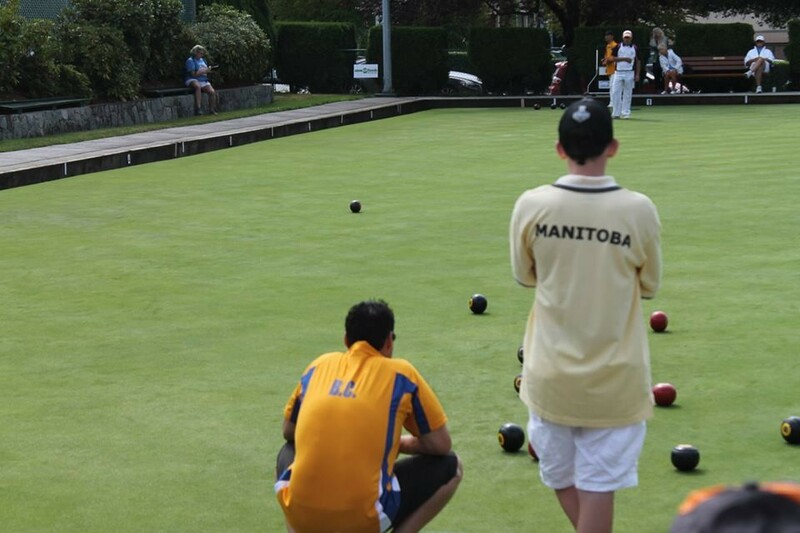 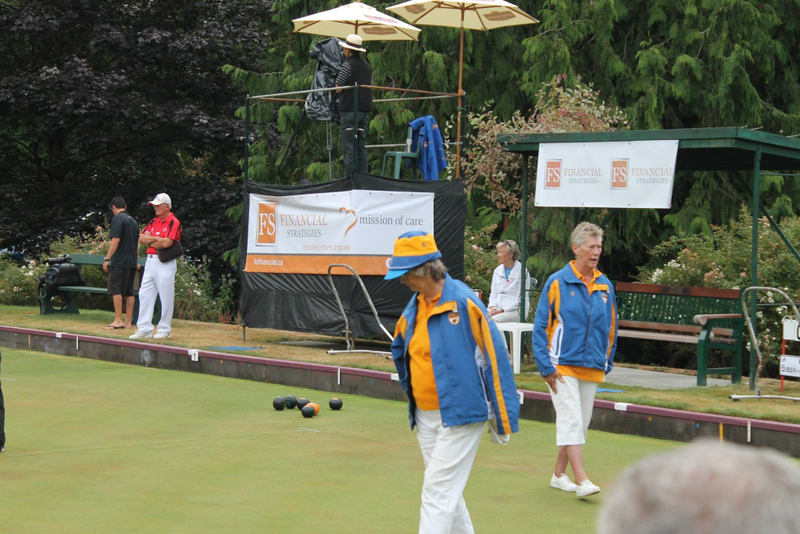 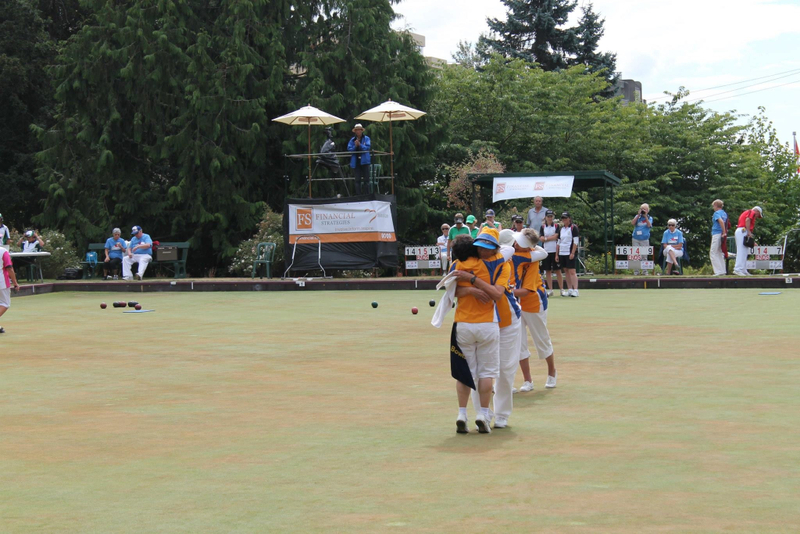 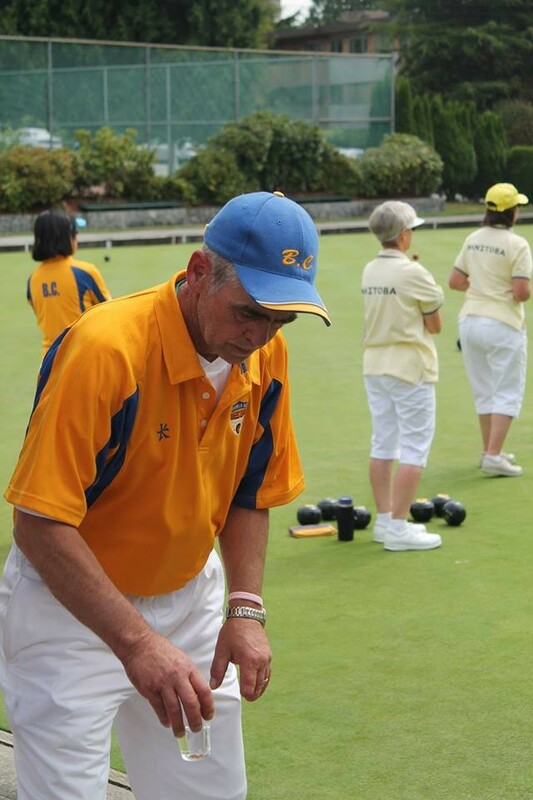 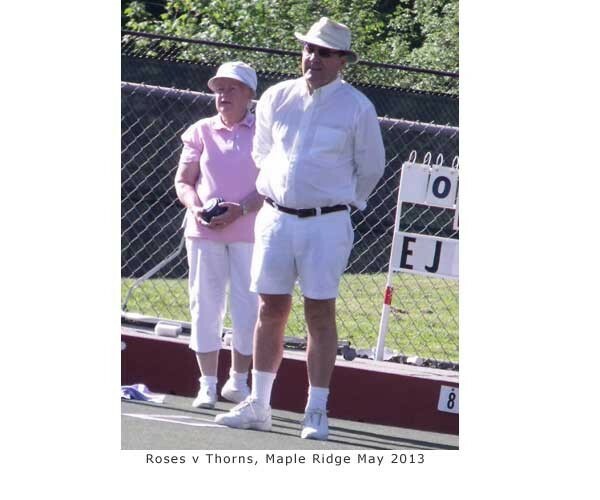 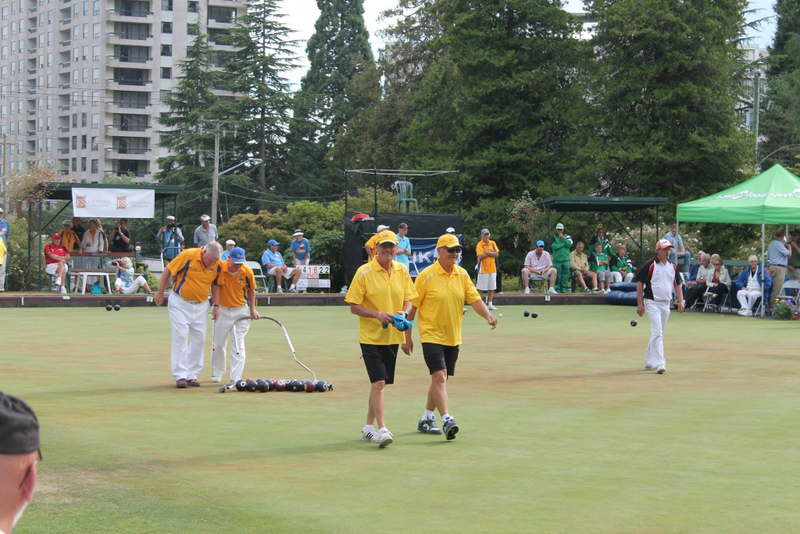 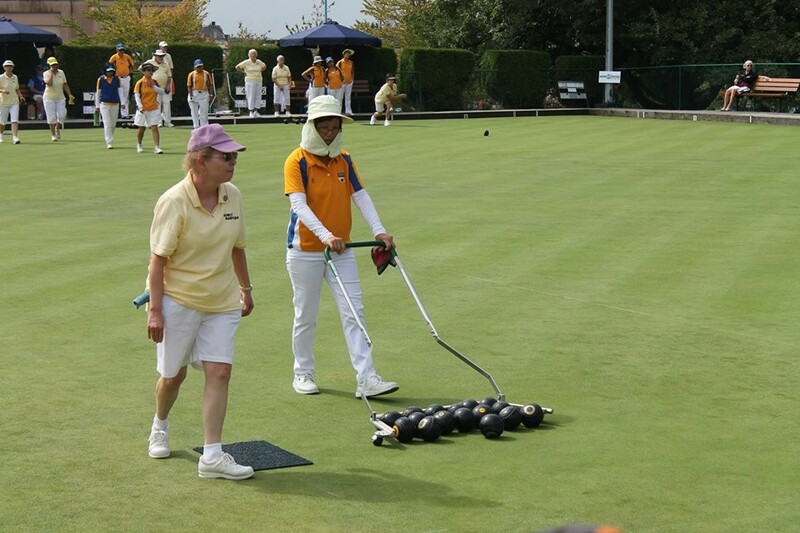 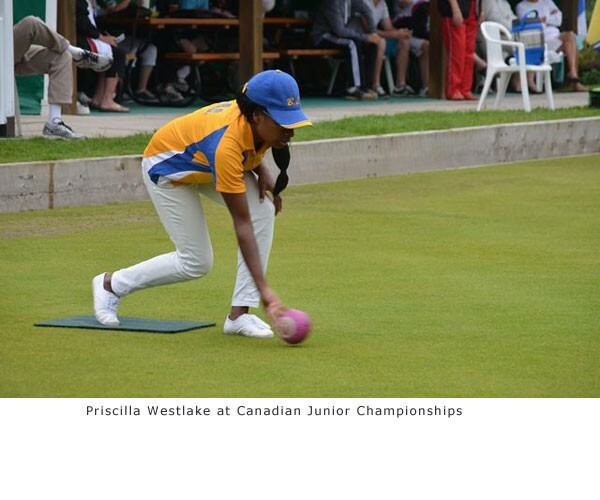 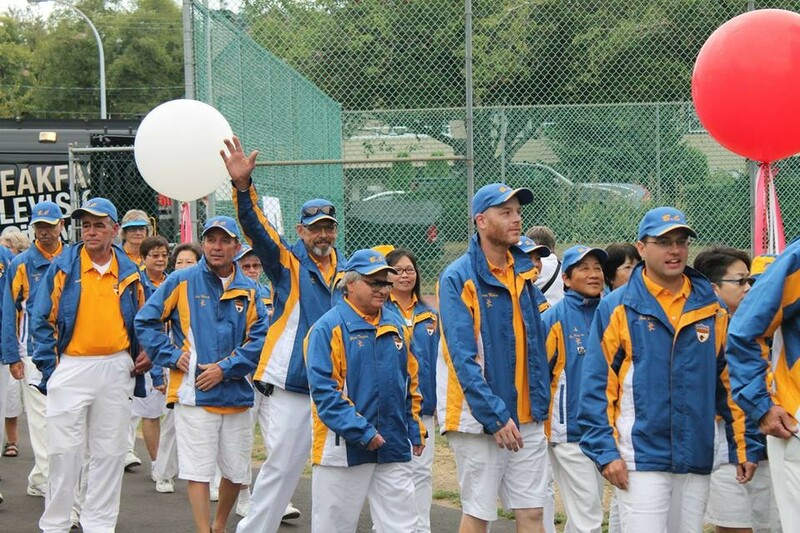 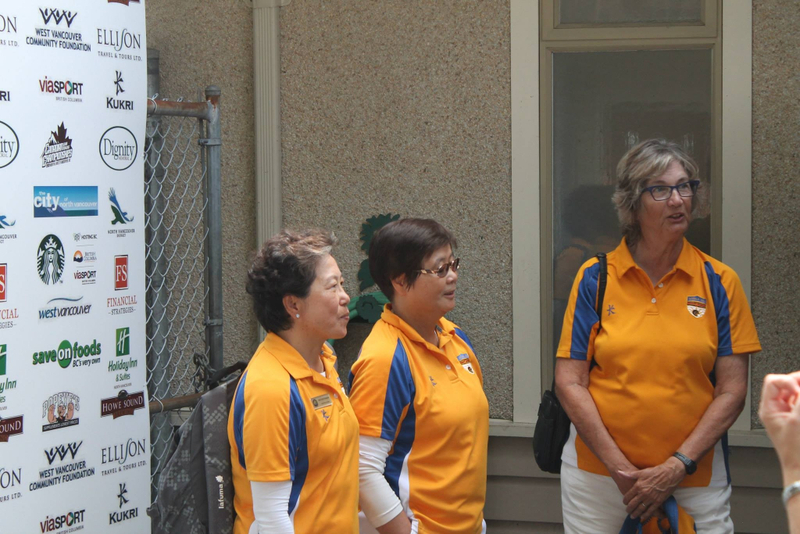 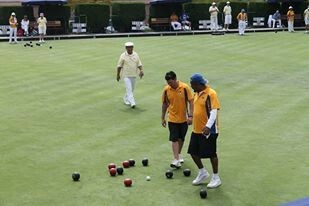 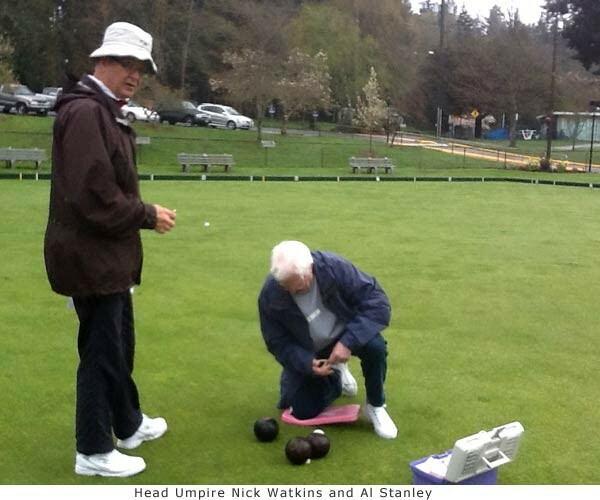 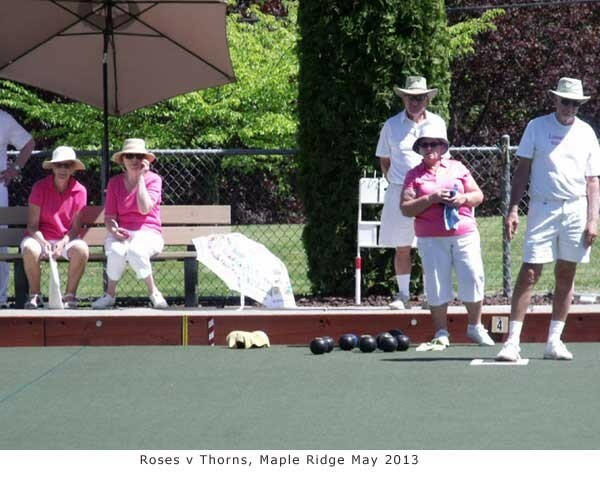 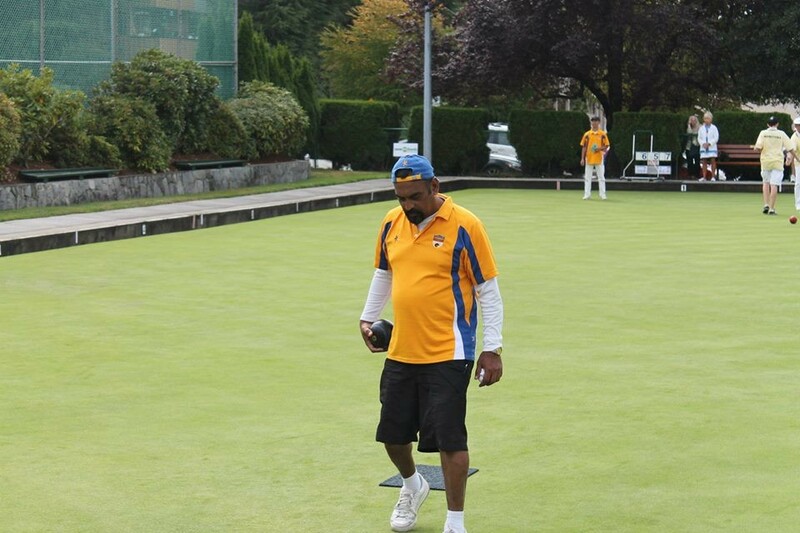 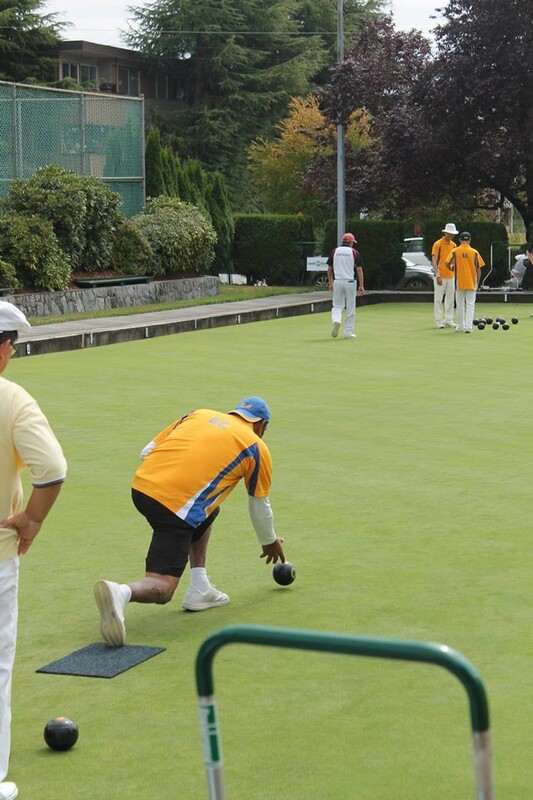 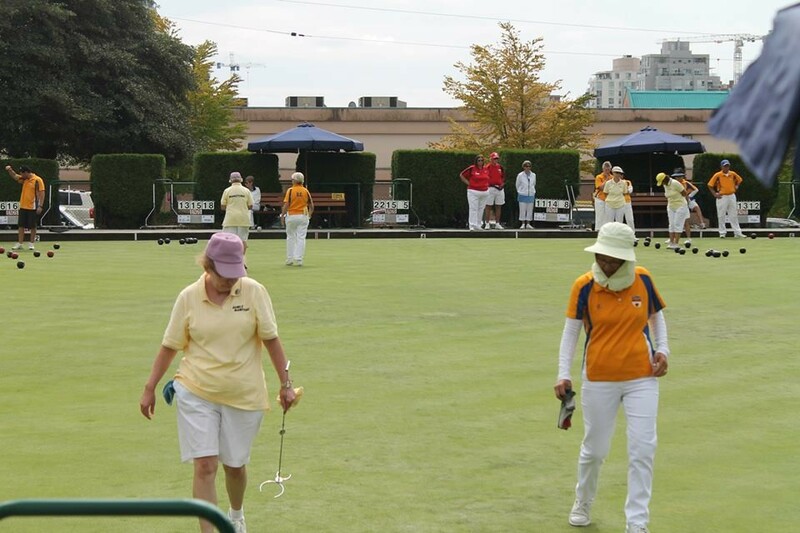 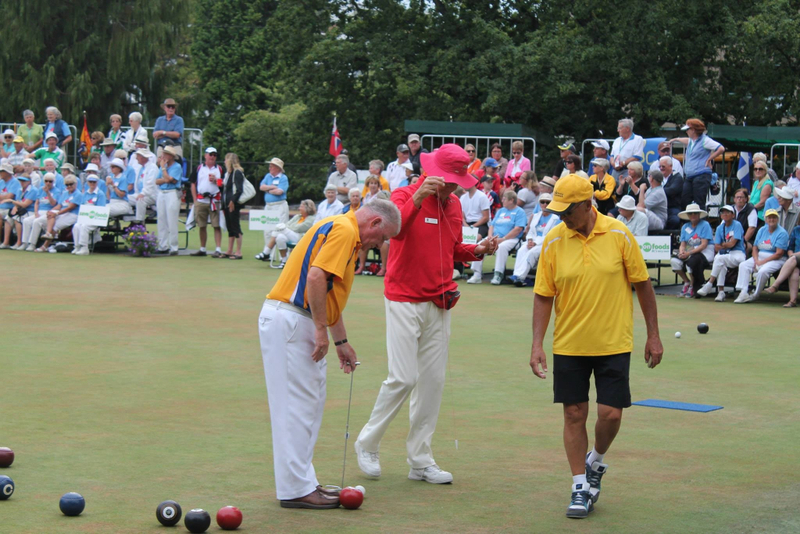 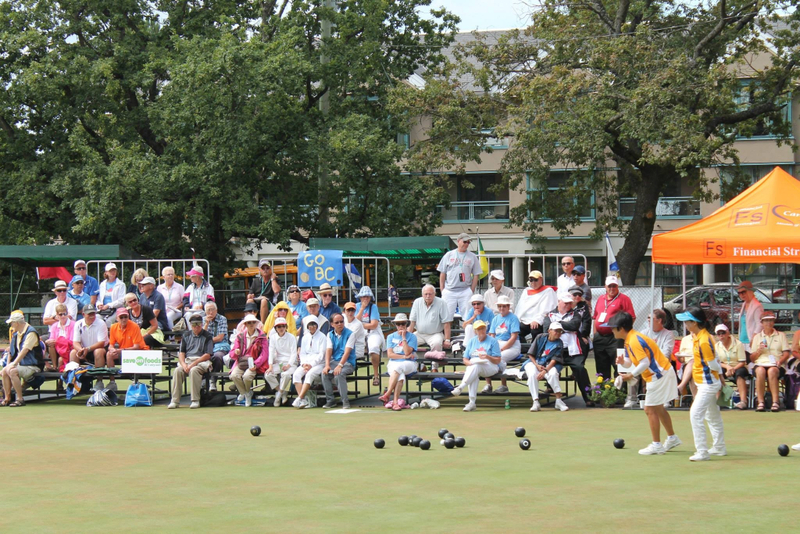 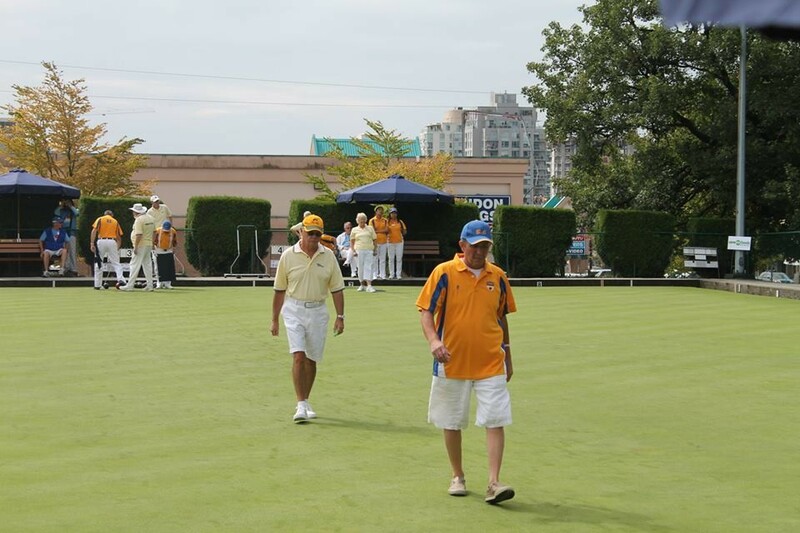 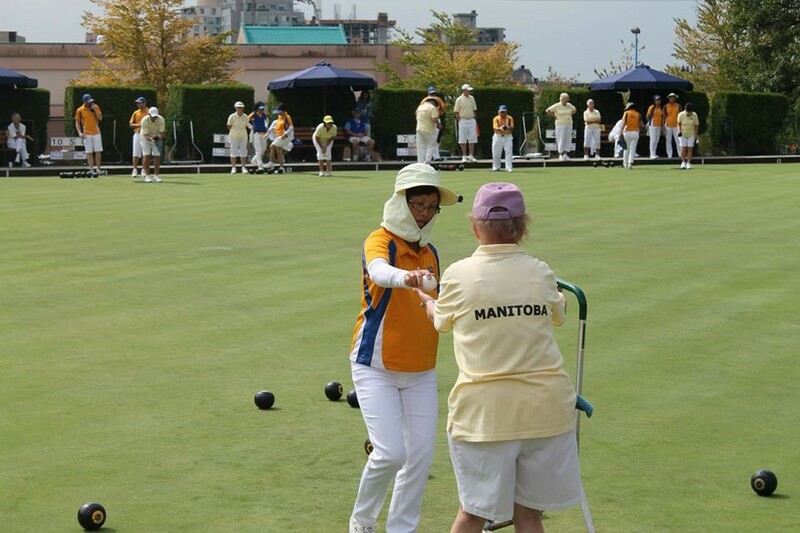 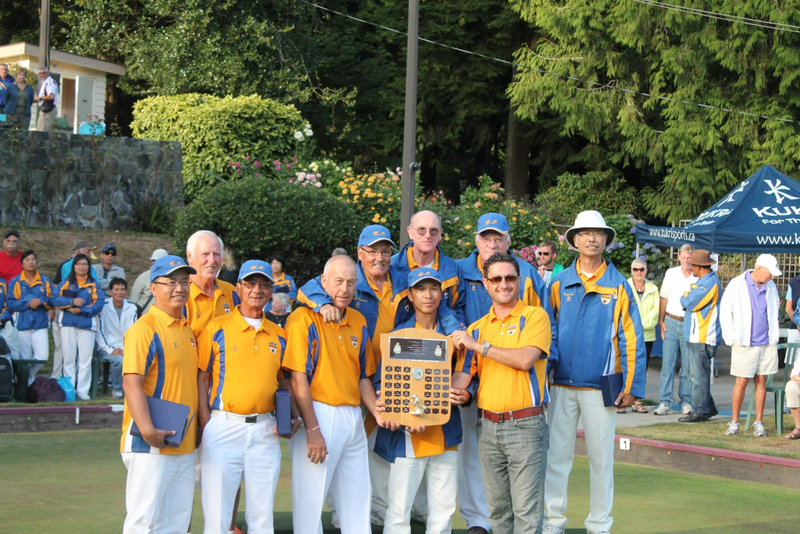 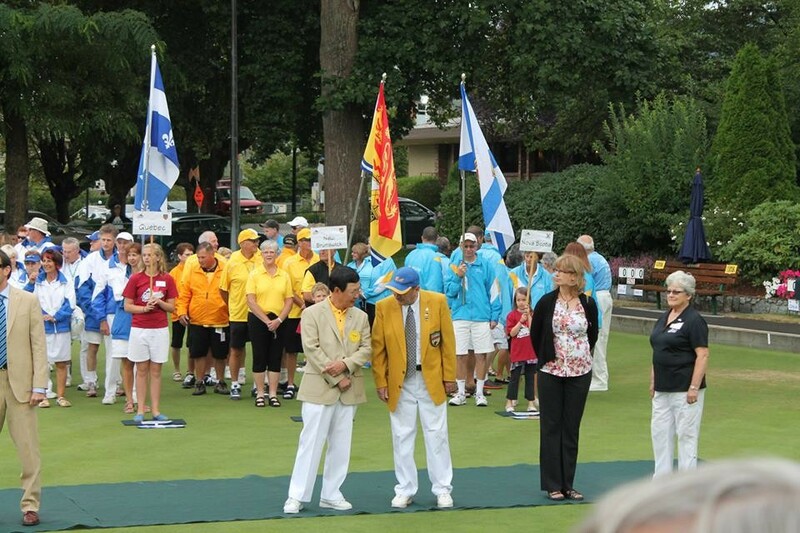 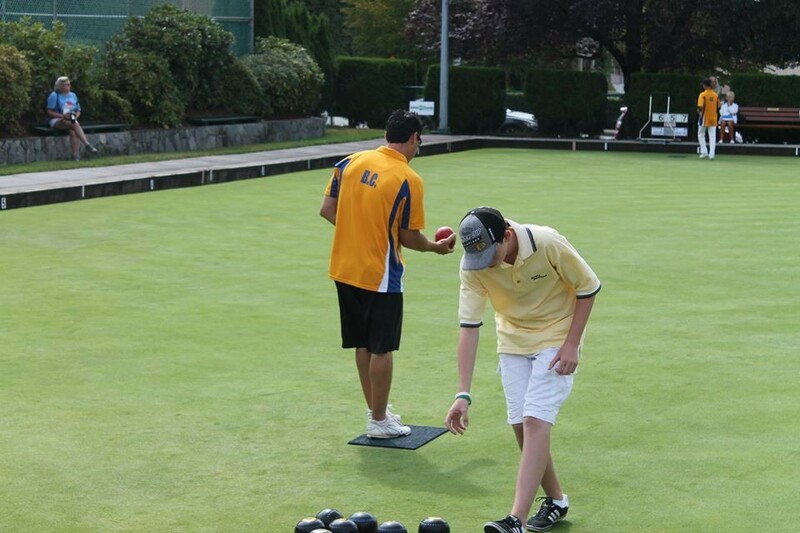 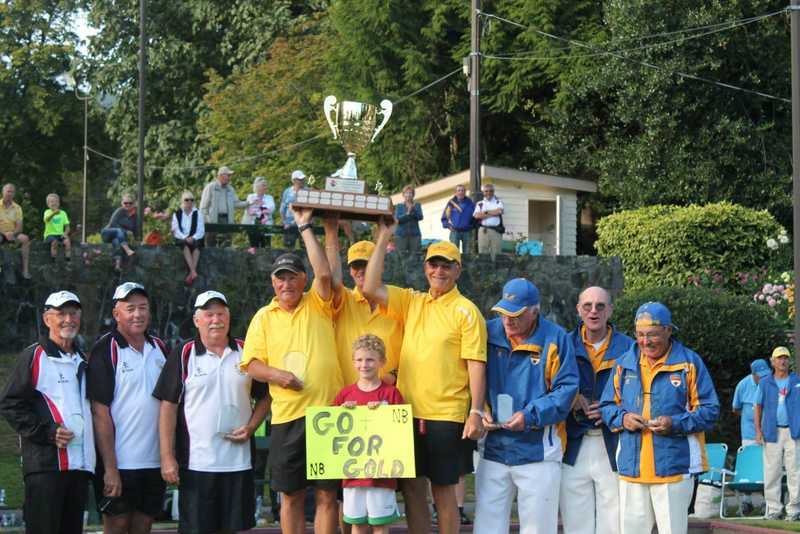 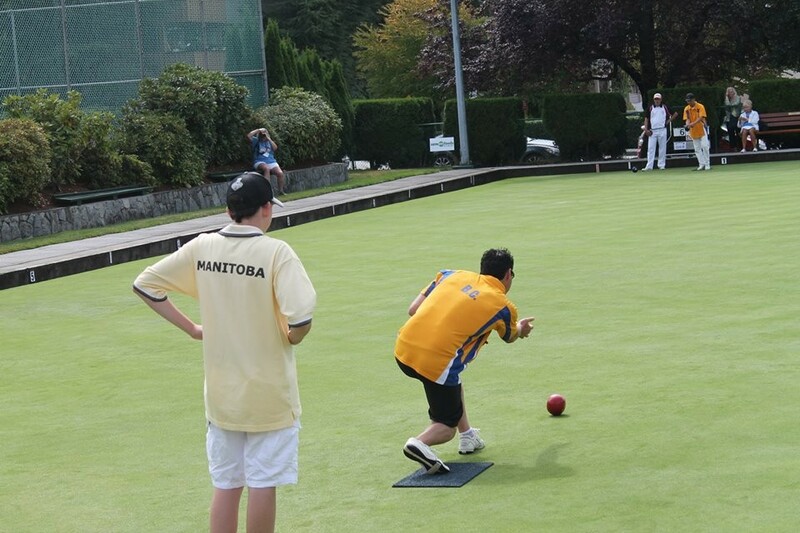 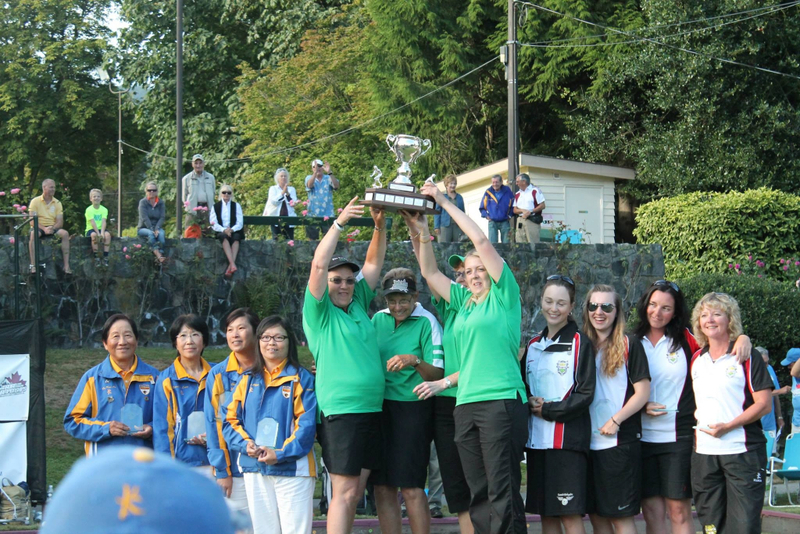 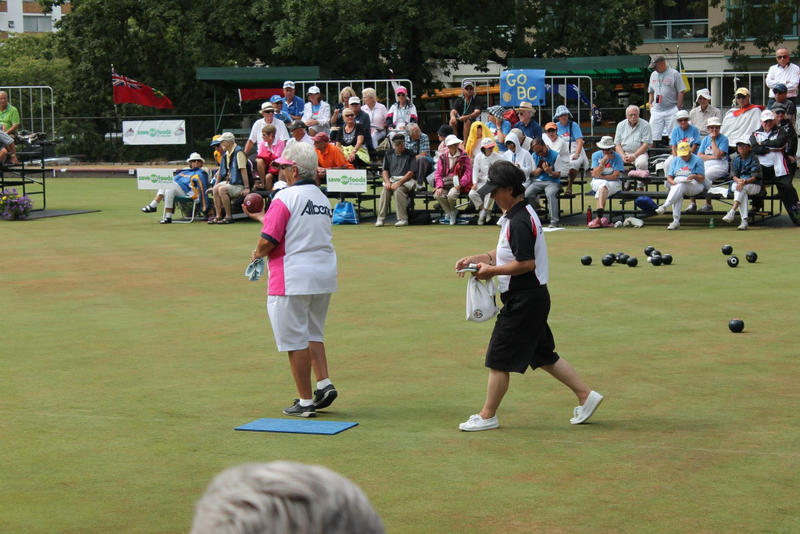 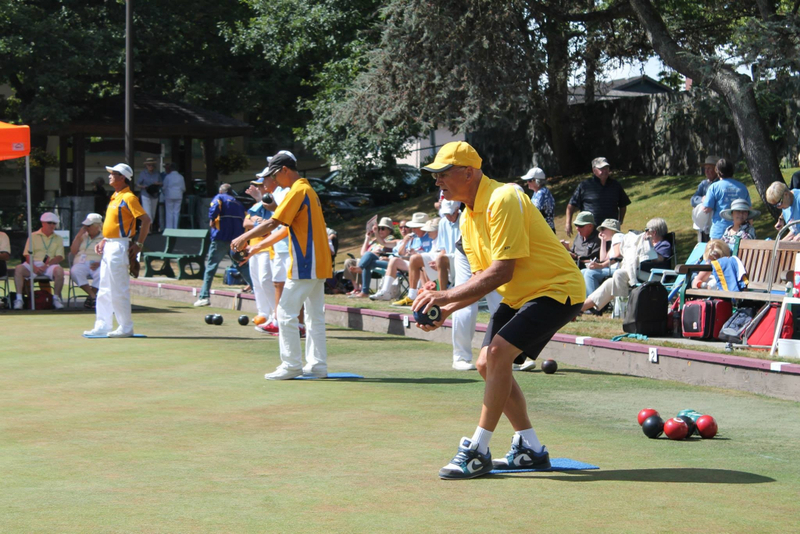 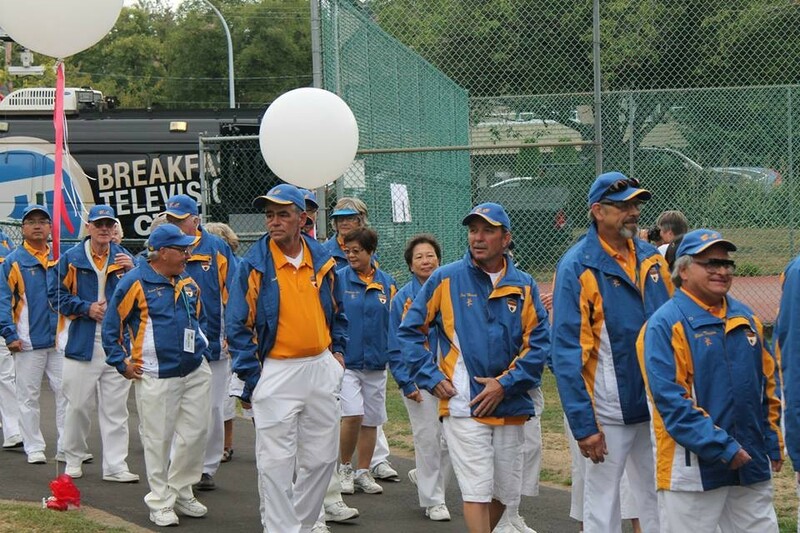 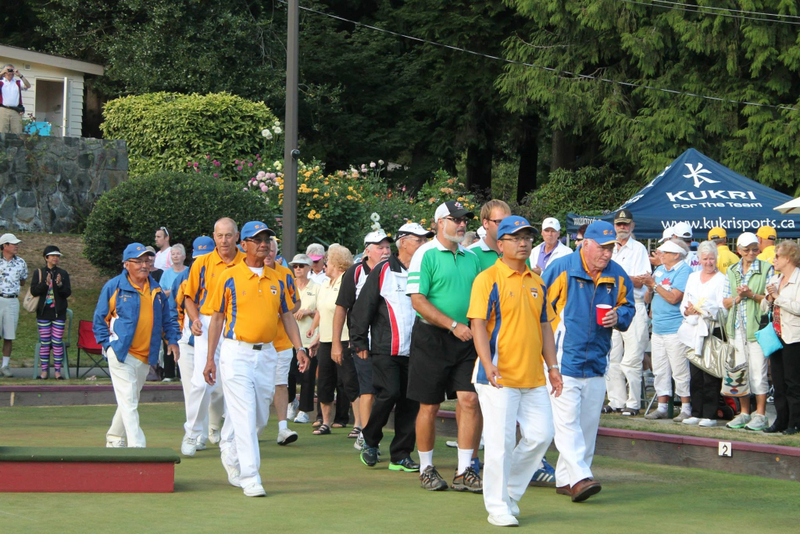 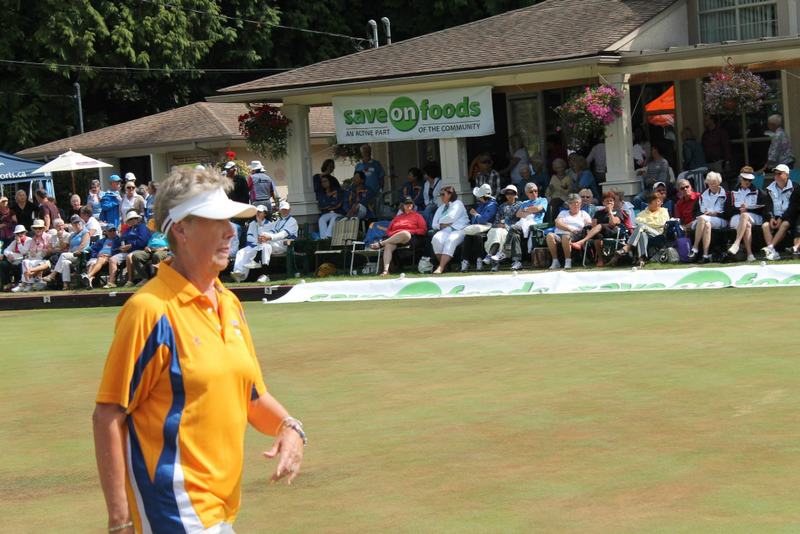 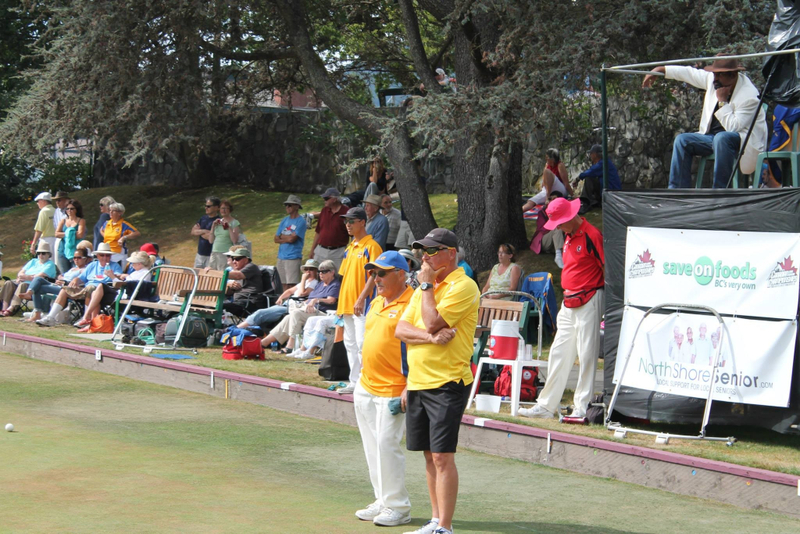 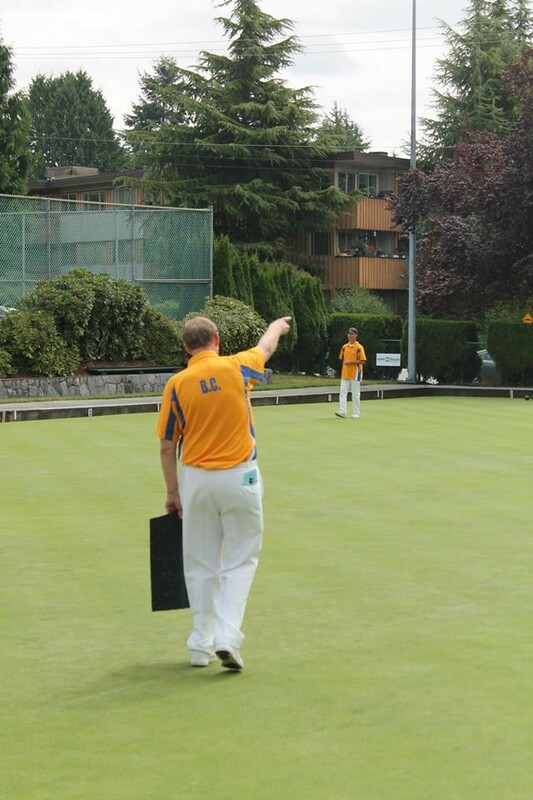 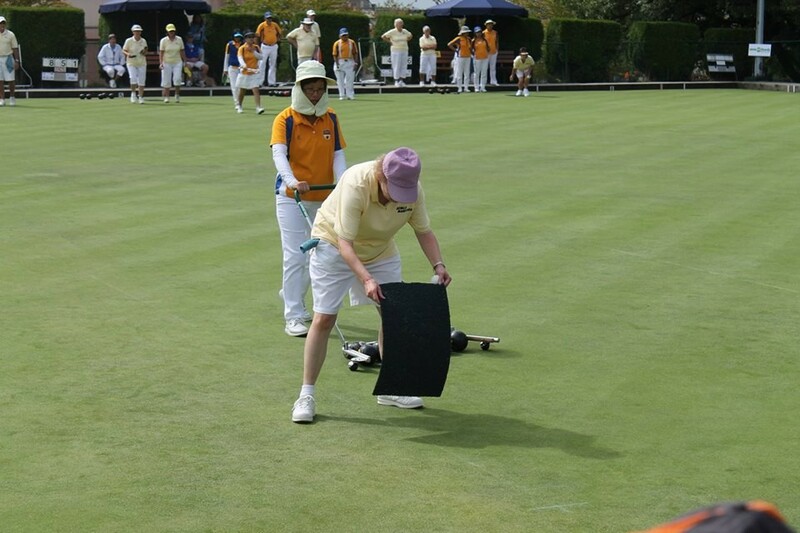 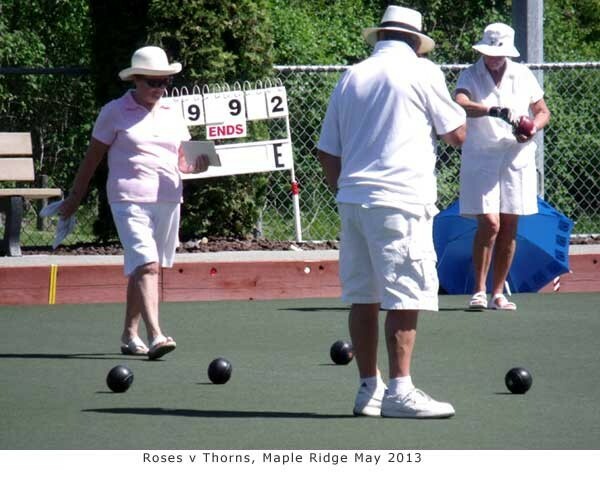 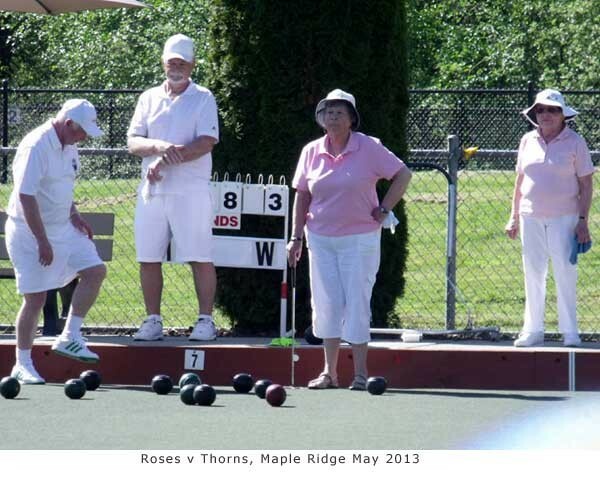 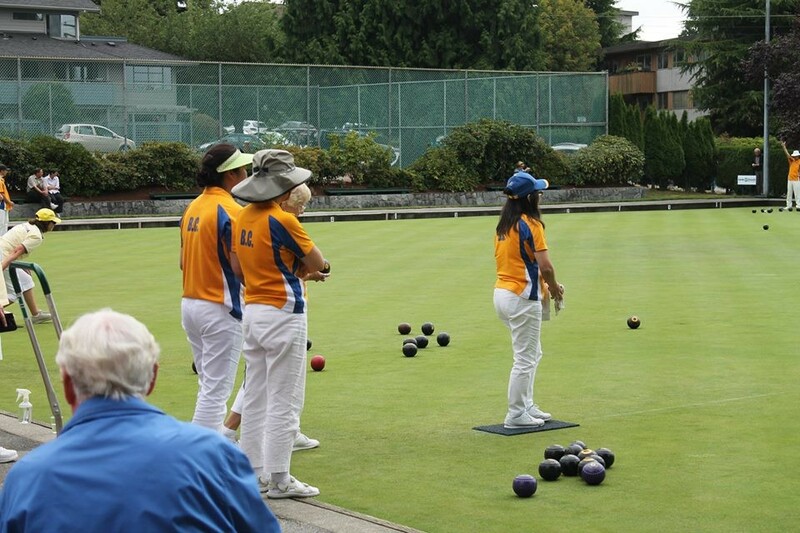 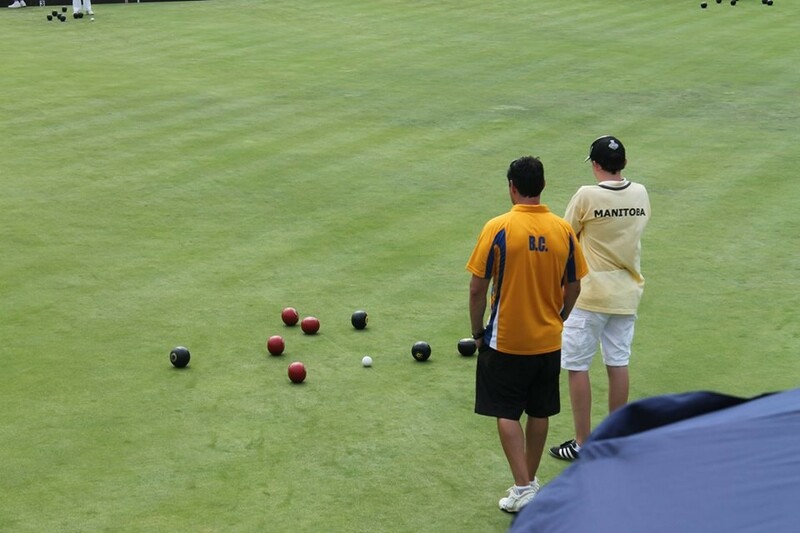 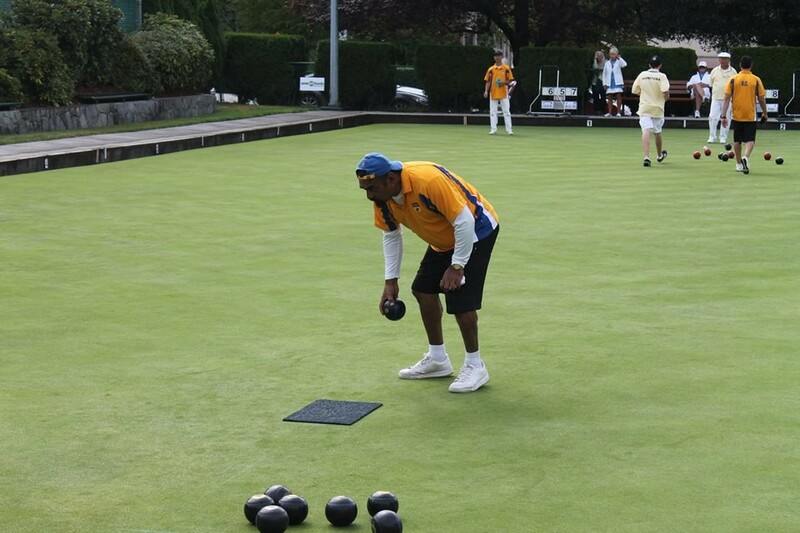 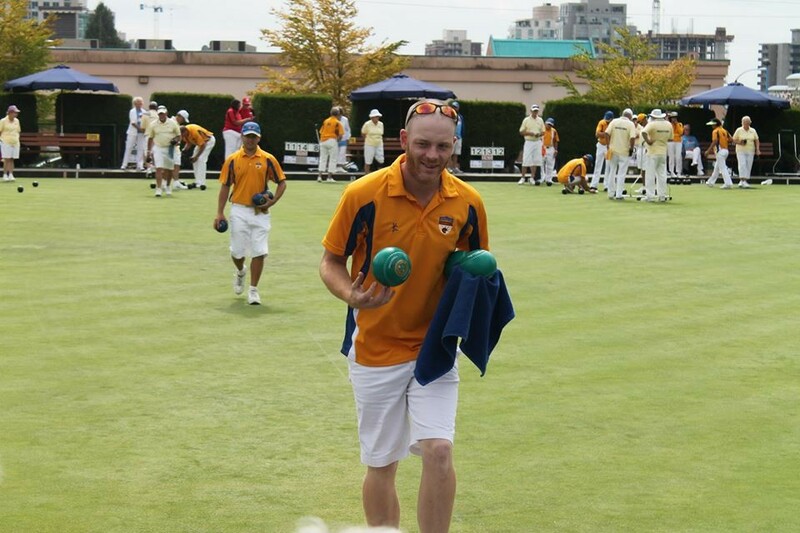 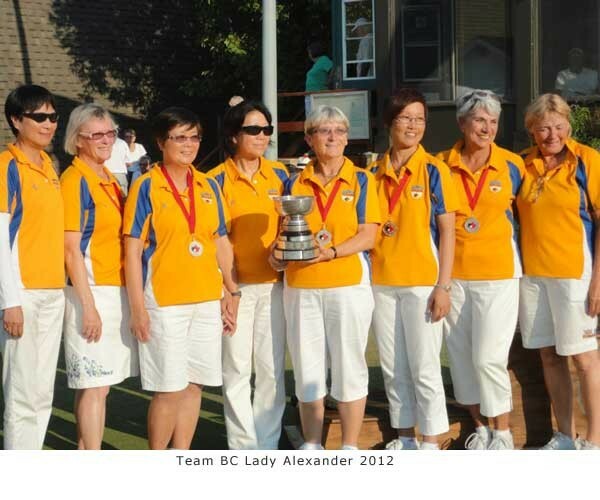 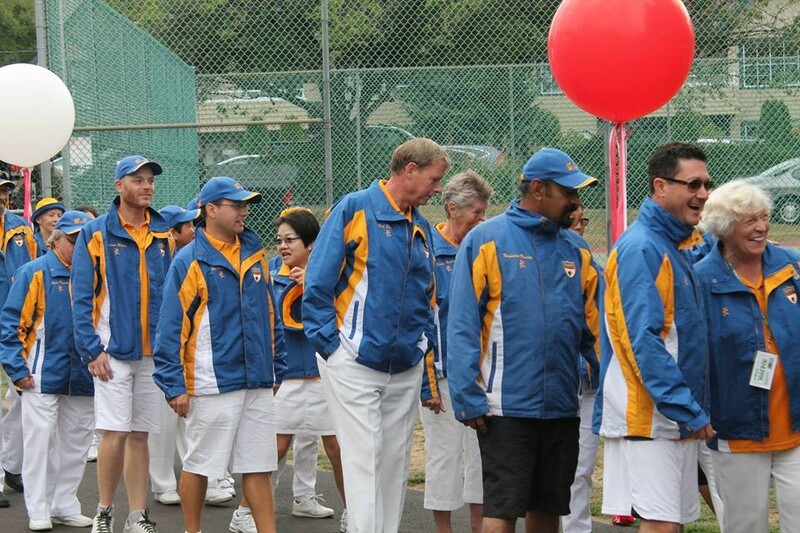 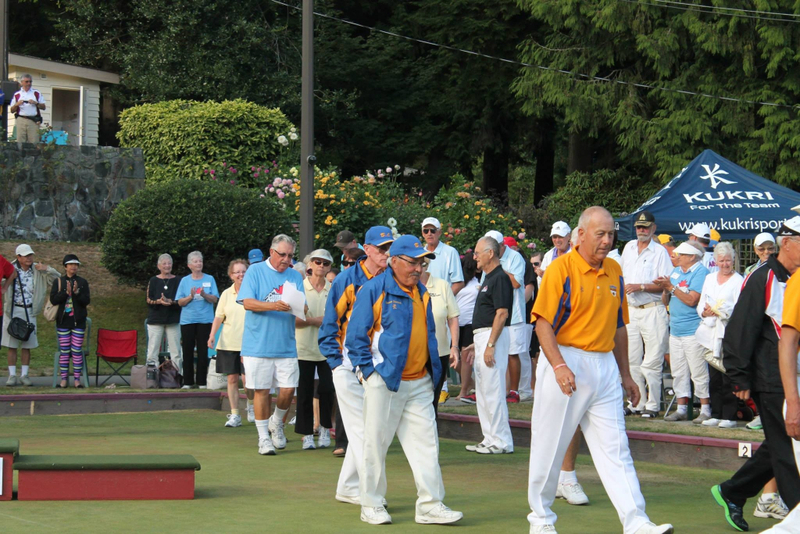 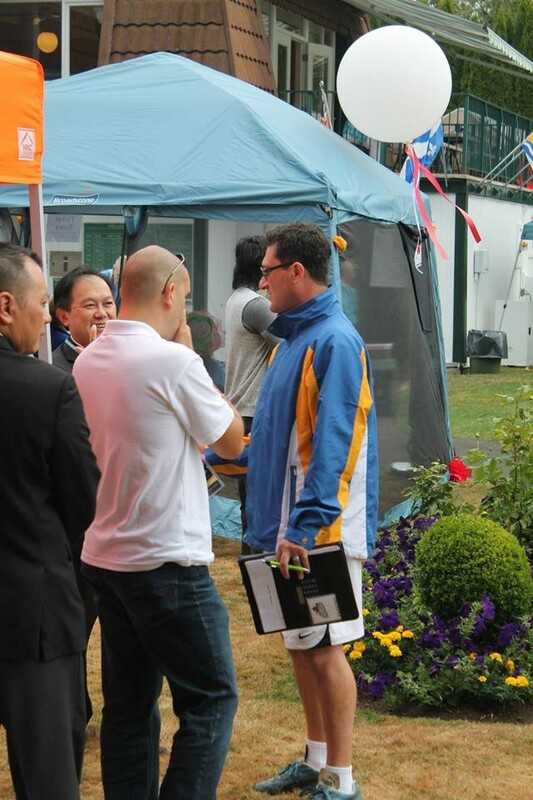 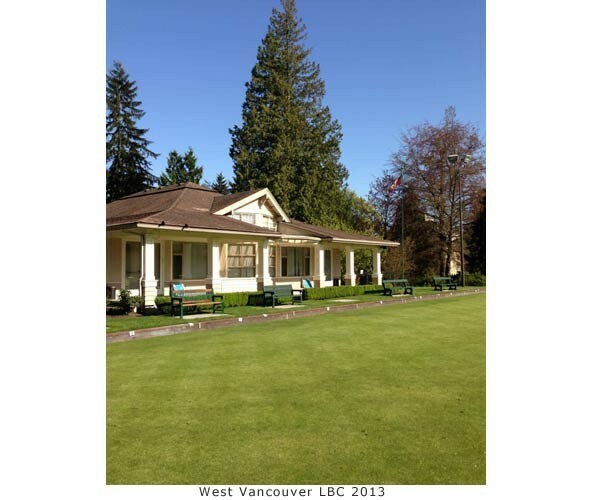 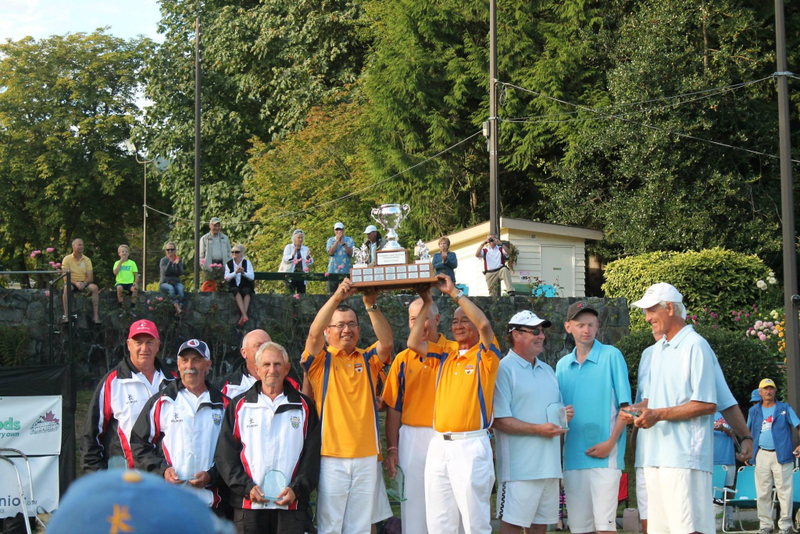 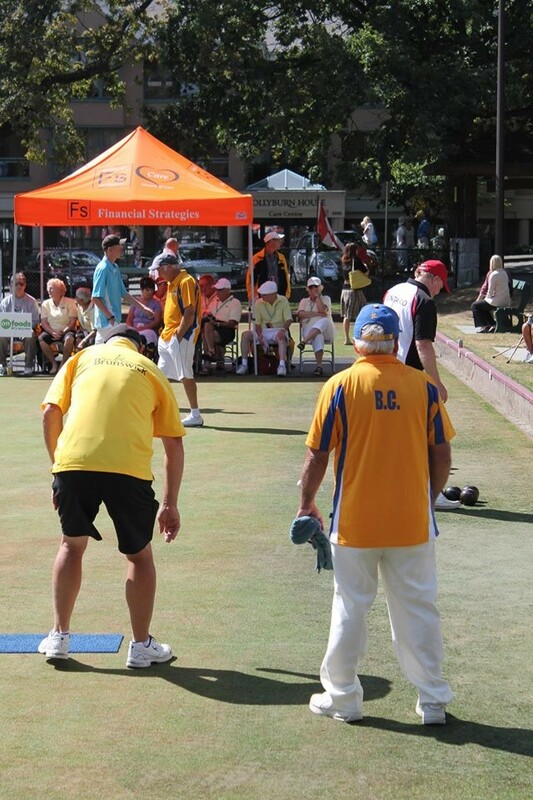 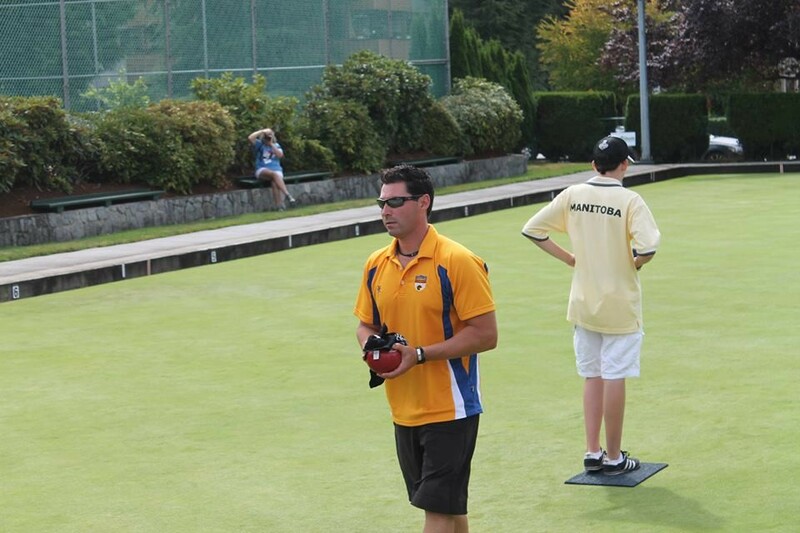 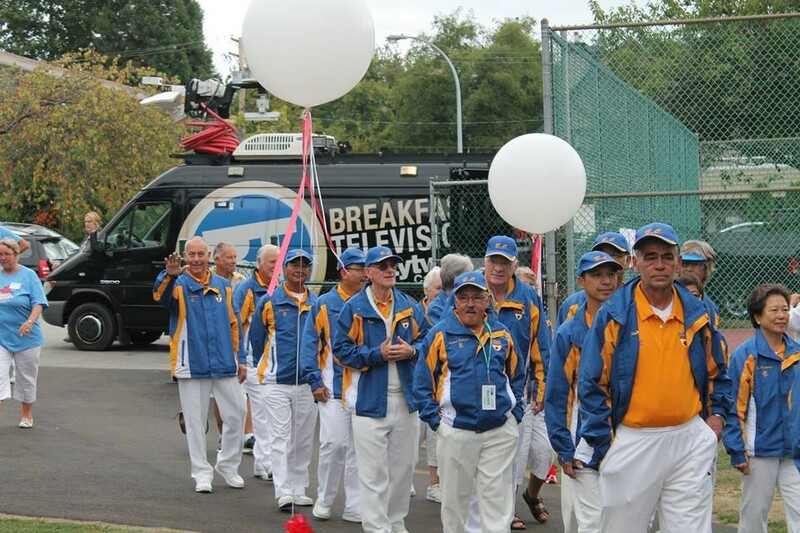 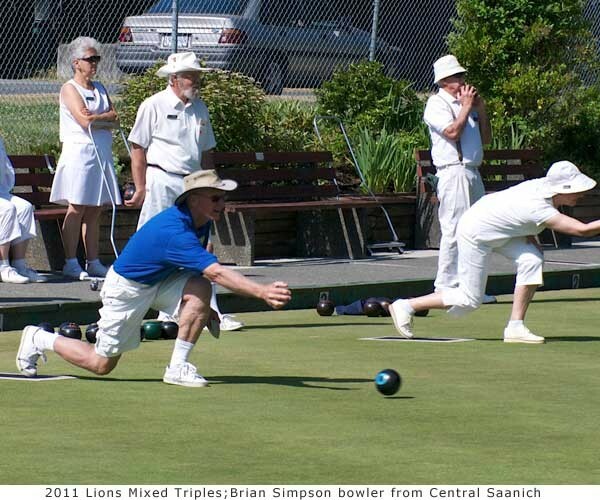 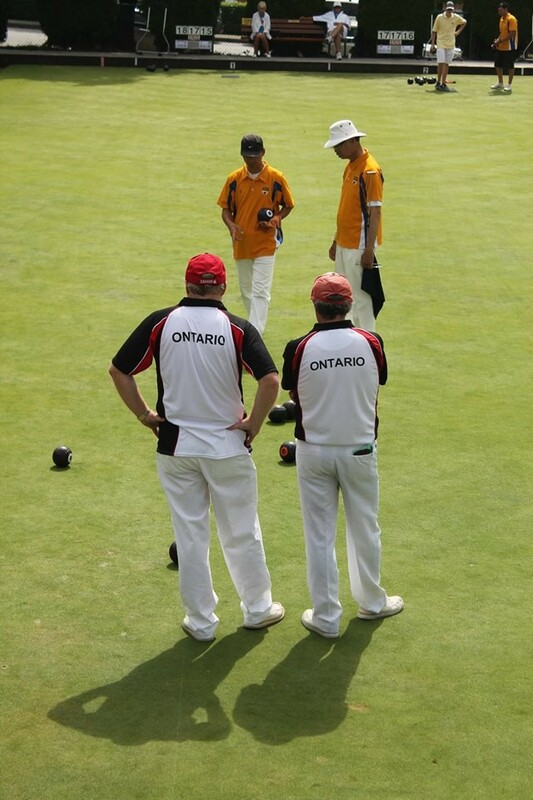 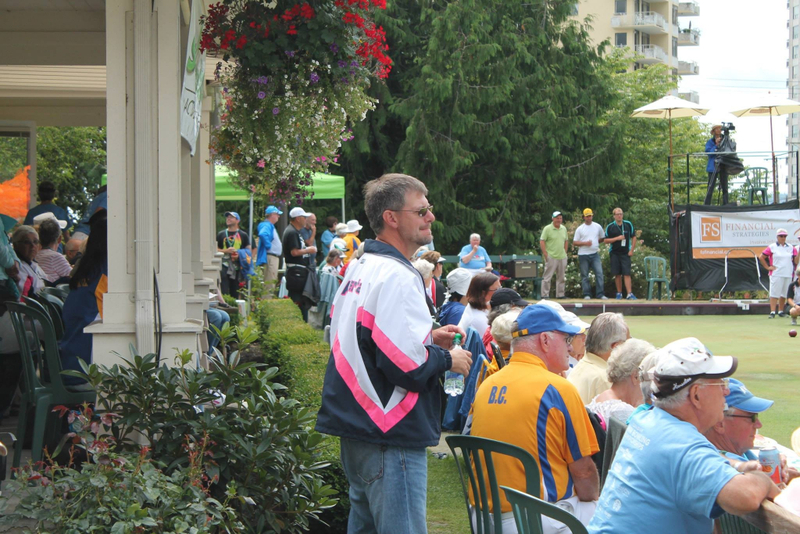 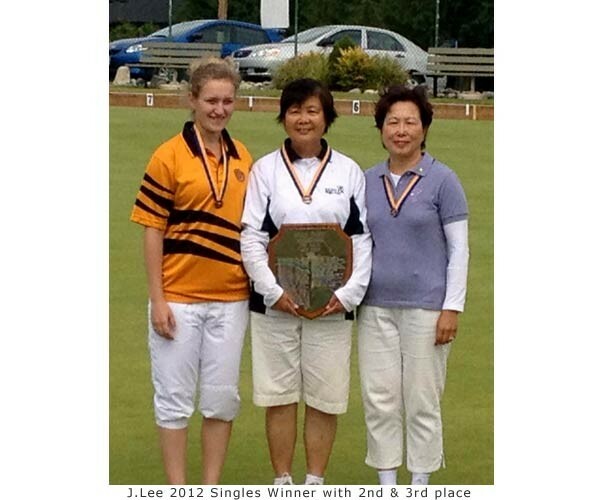 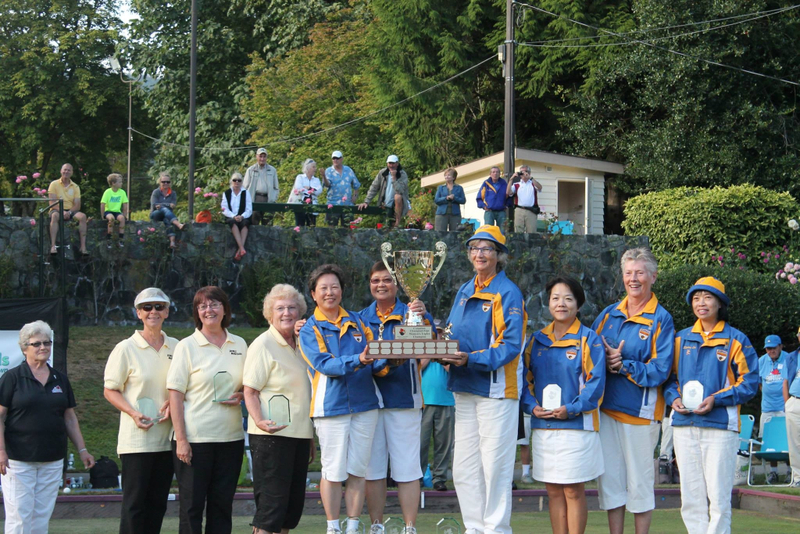 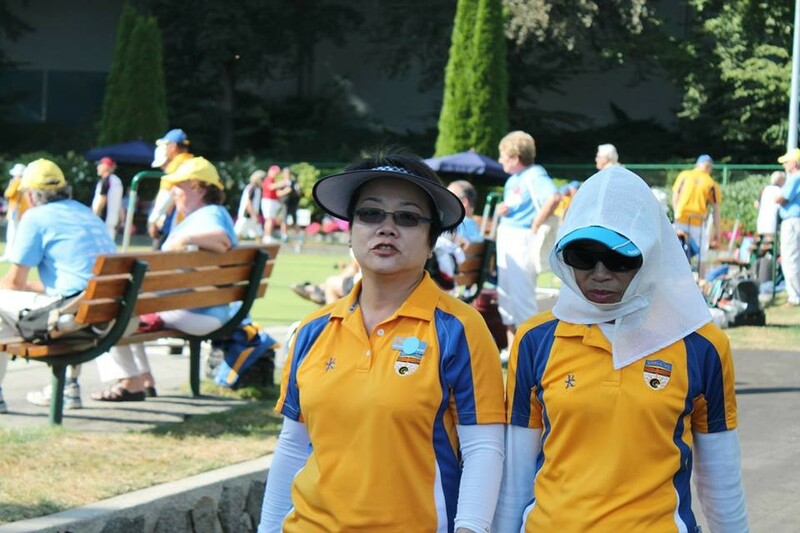 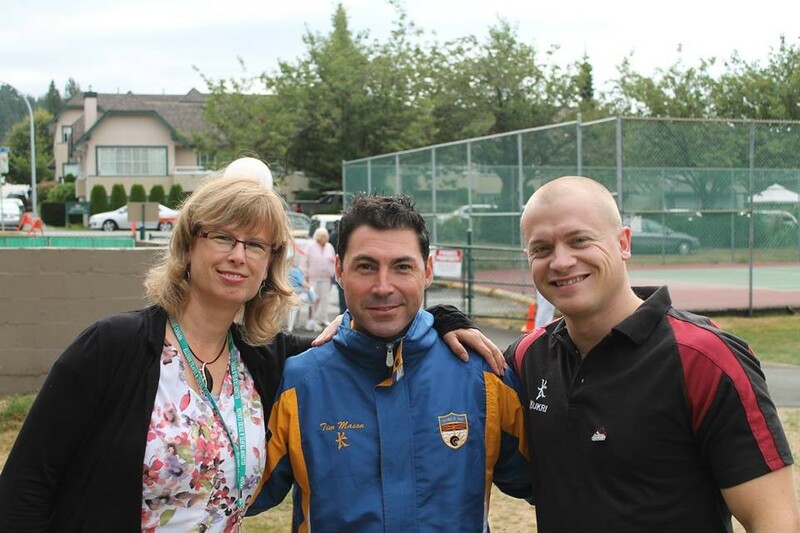 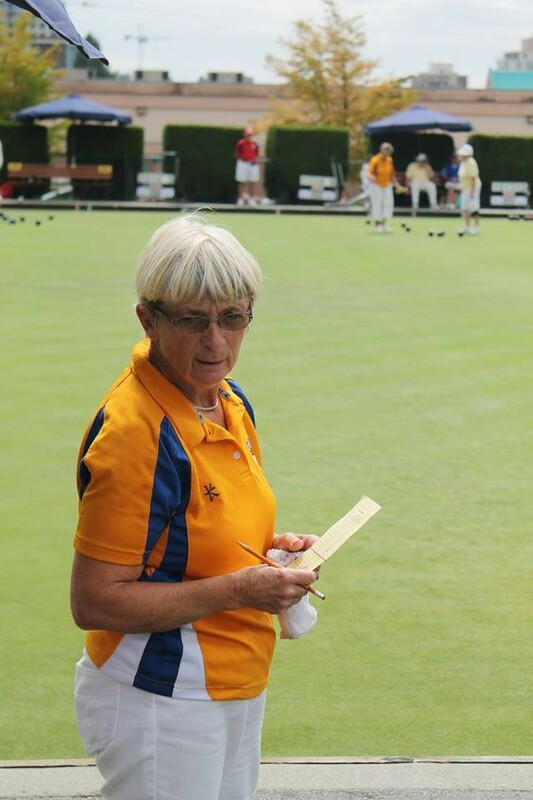 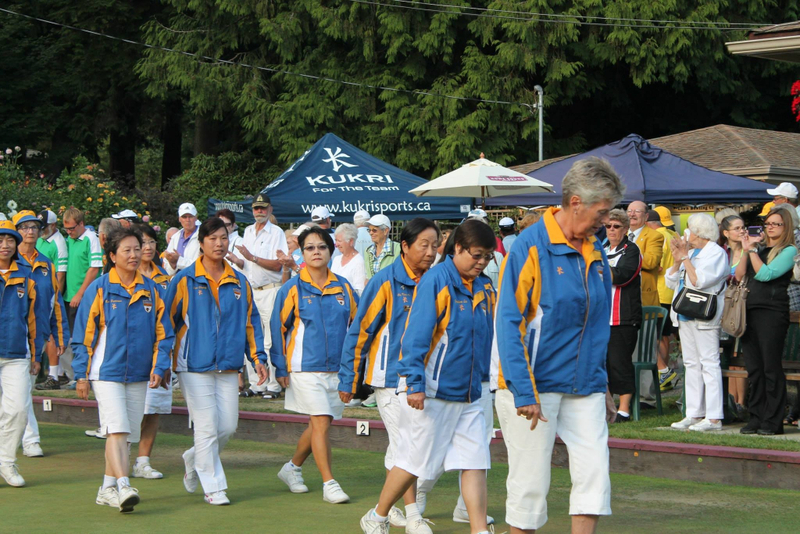 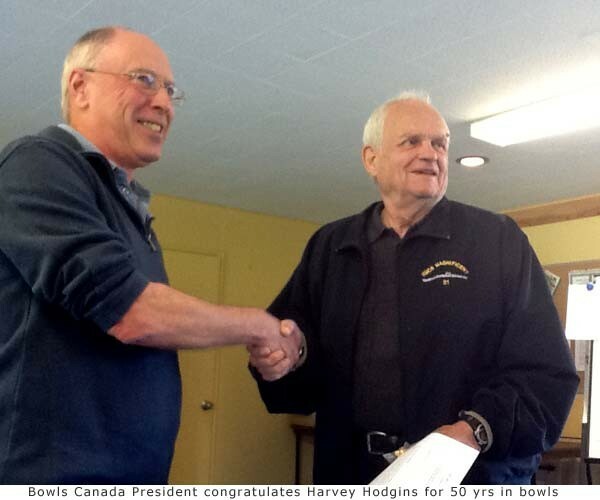 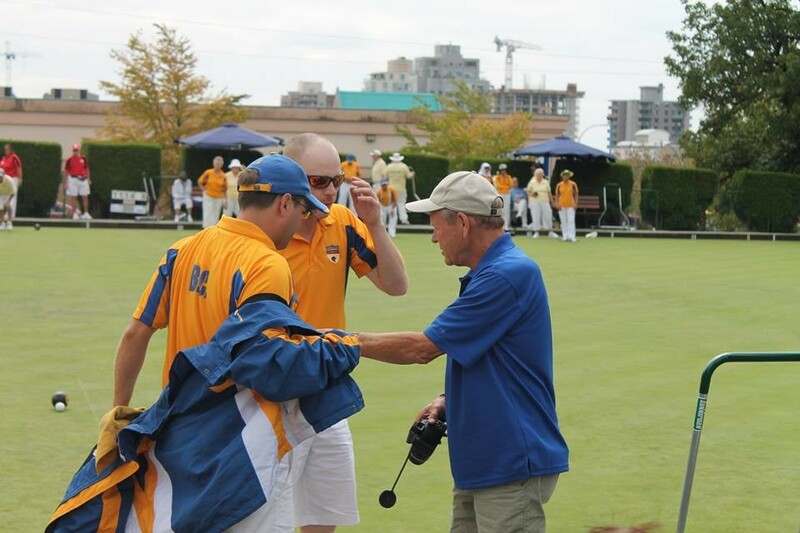 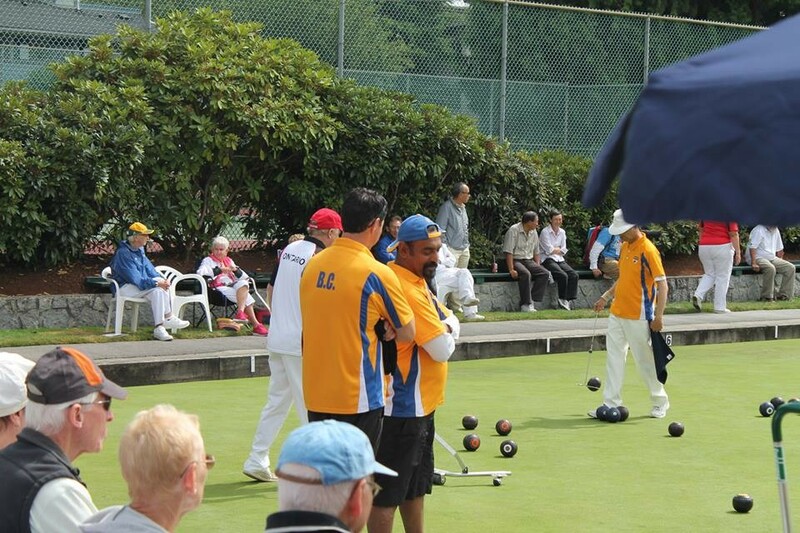 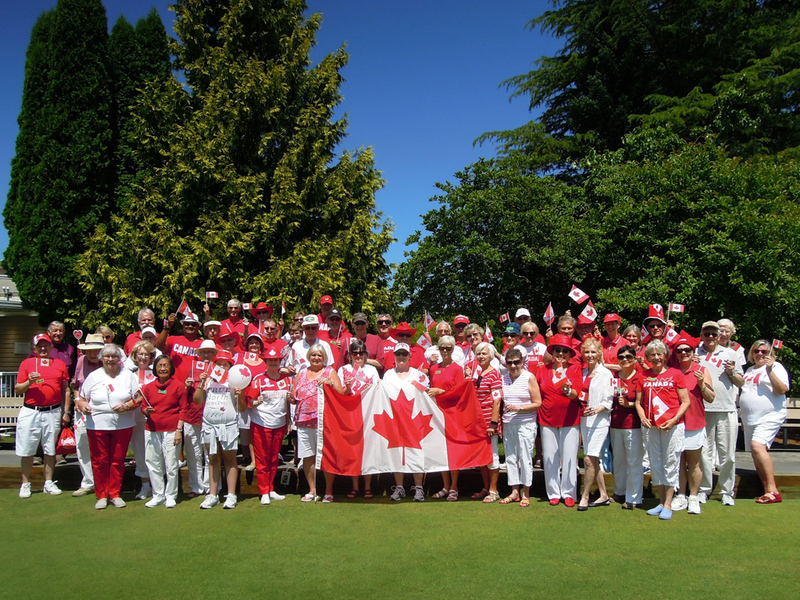 The Langley Lawn Bowling Club Canada 150 celebration photo taken by our lawn bowler Liza Chan on July 1, 2017.
the SLBC held a Club 4’s tourney on Friday June 30th., and an inter-club Triples Invitational event on July 2nd. 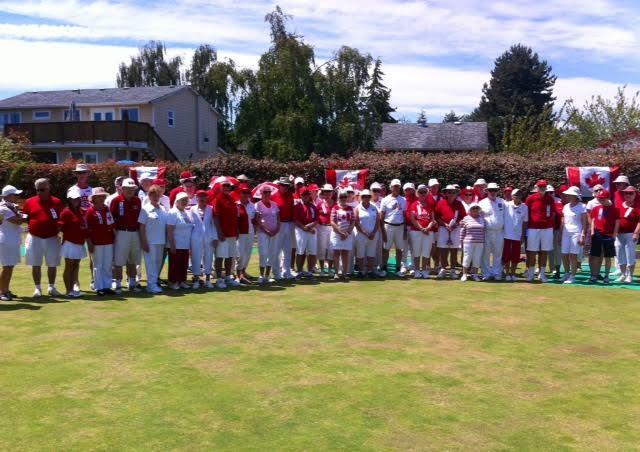 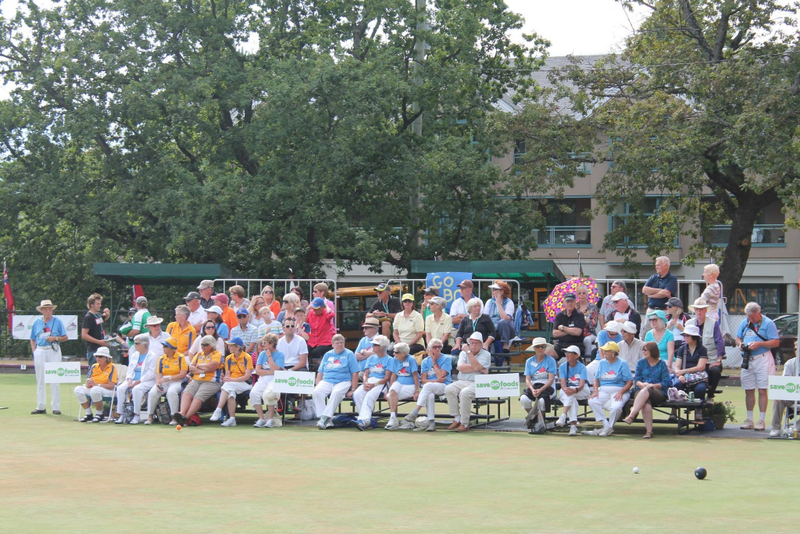 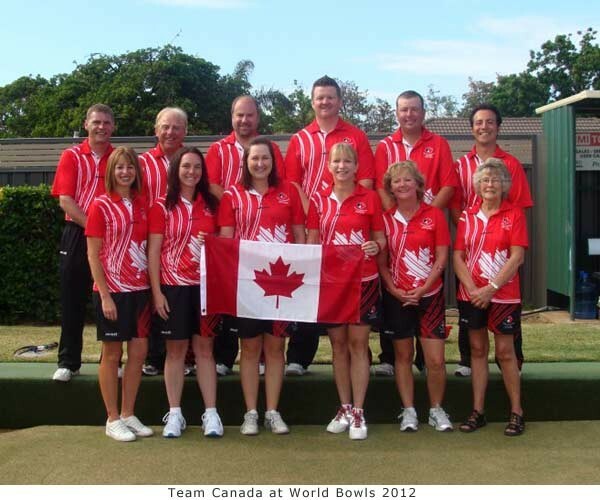 Support from players, spectators, many visitors, and volunteers was wonderful! 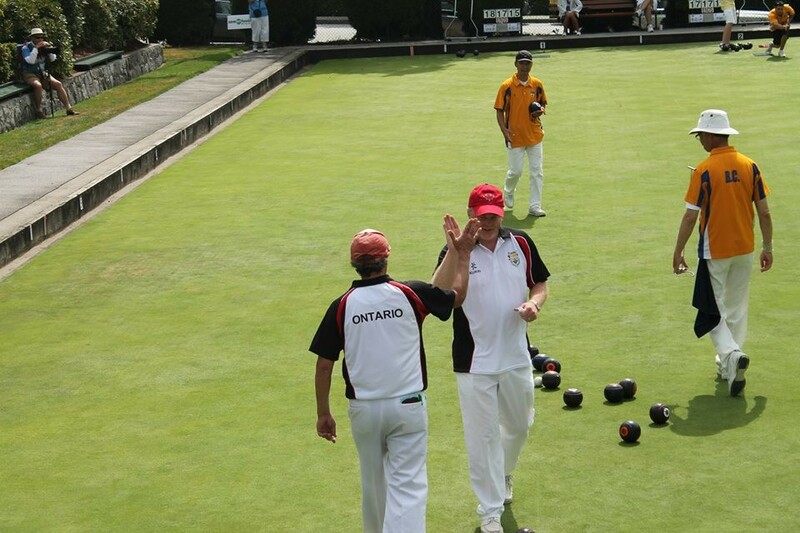 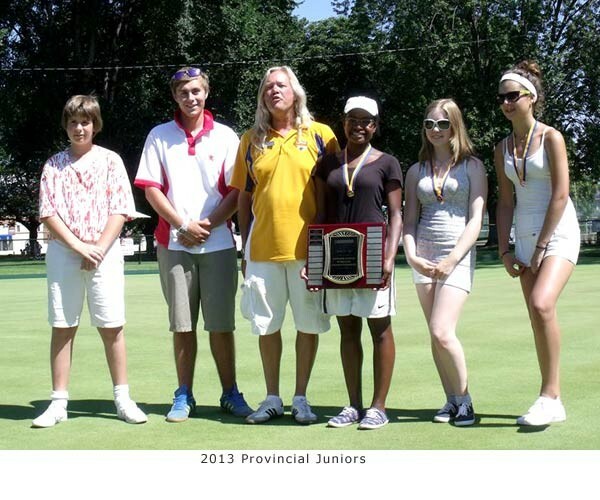 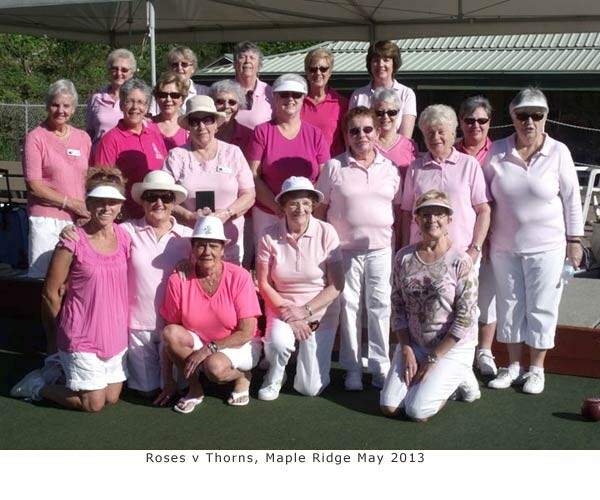 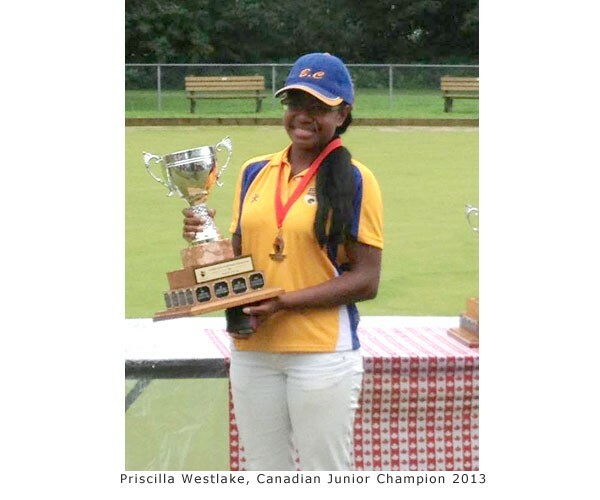 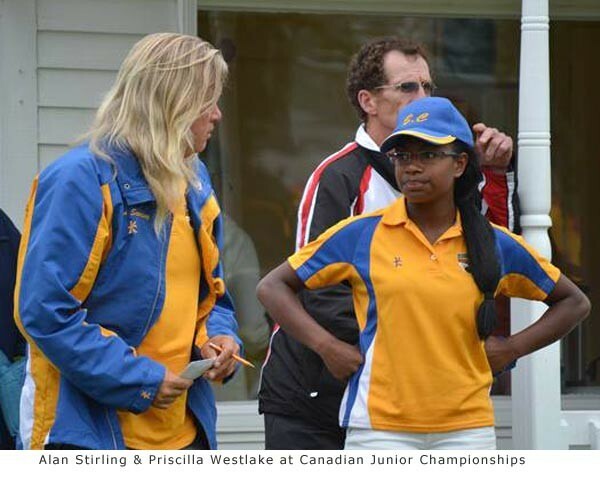 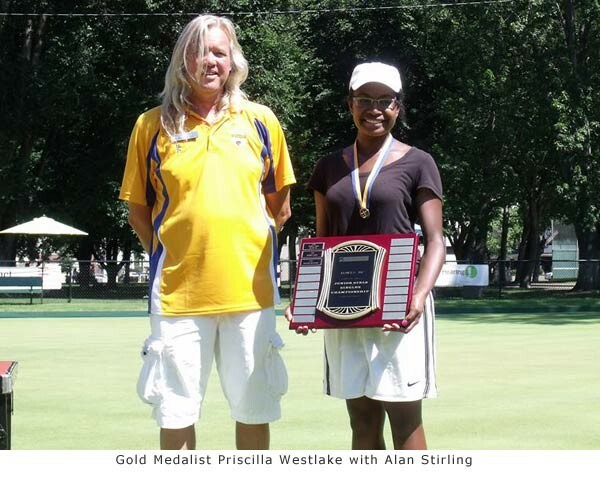 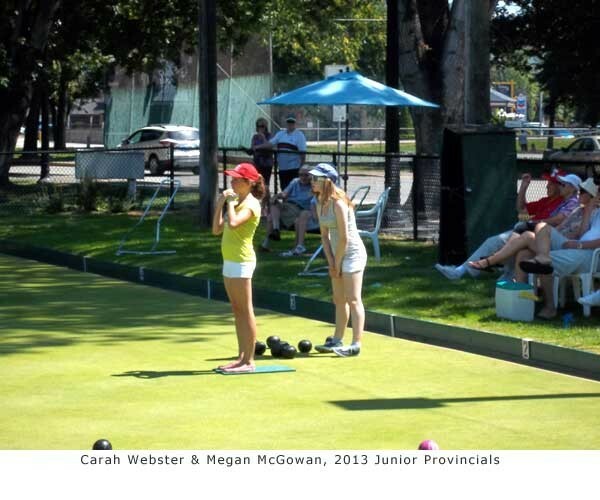 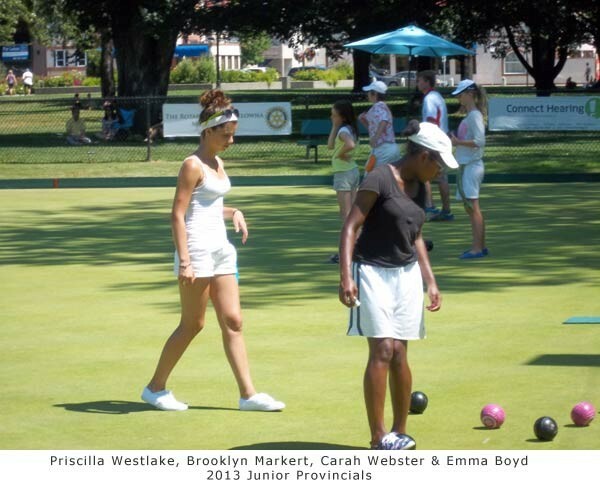 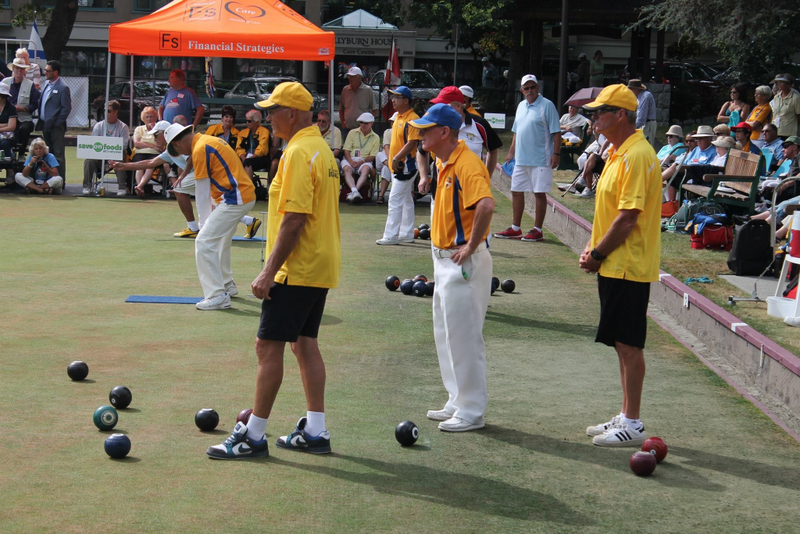 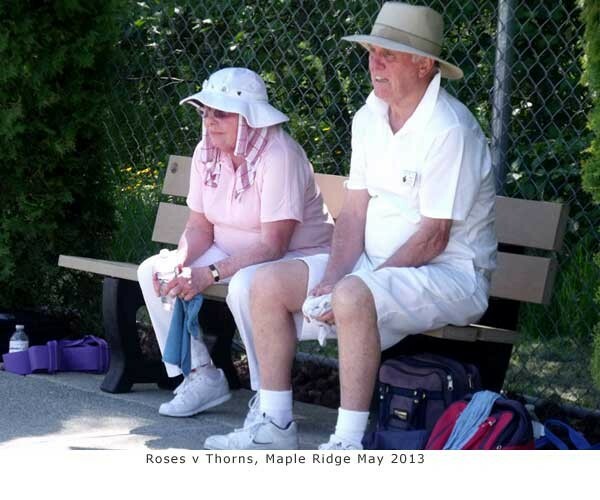 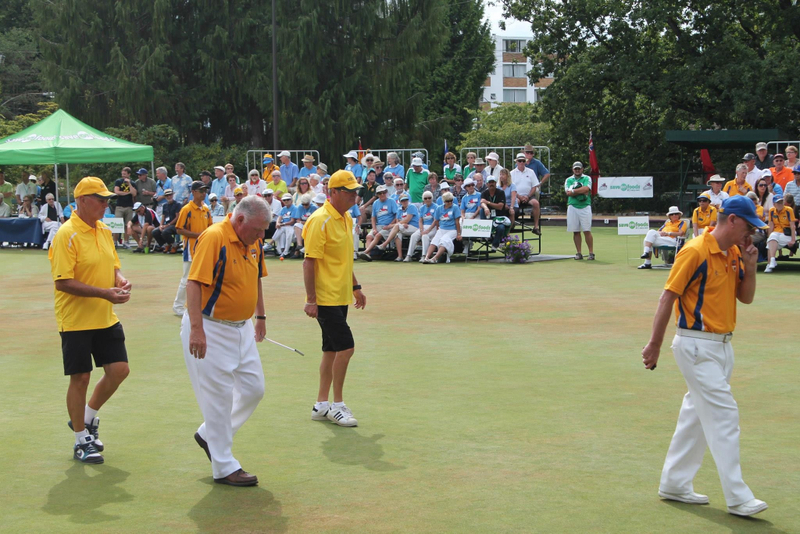 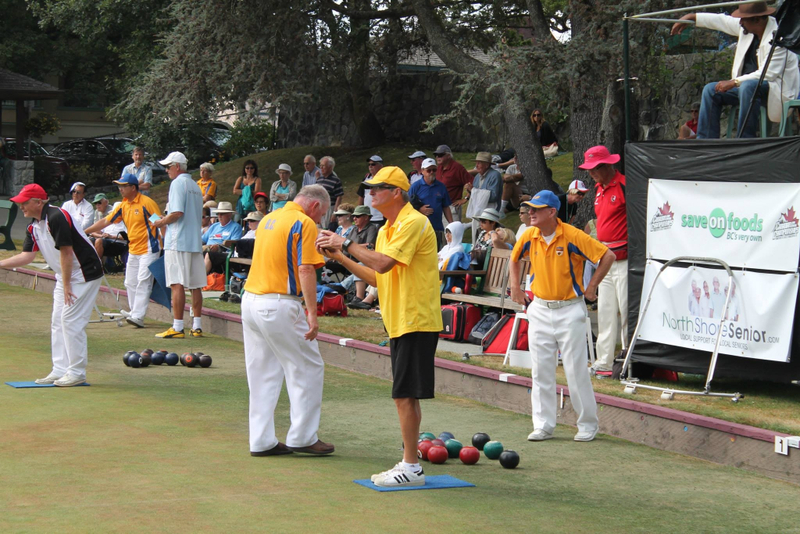 Both events exemplified ‘Celebration’, ‘FUN’, fine sportsmanship, and very fine play! 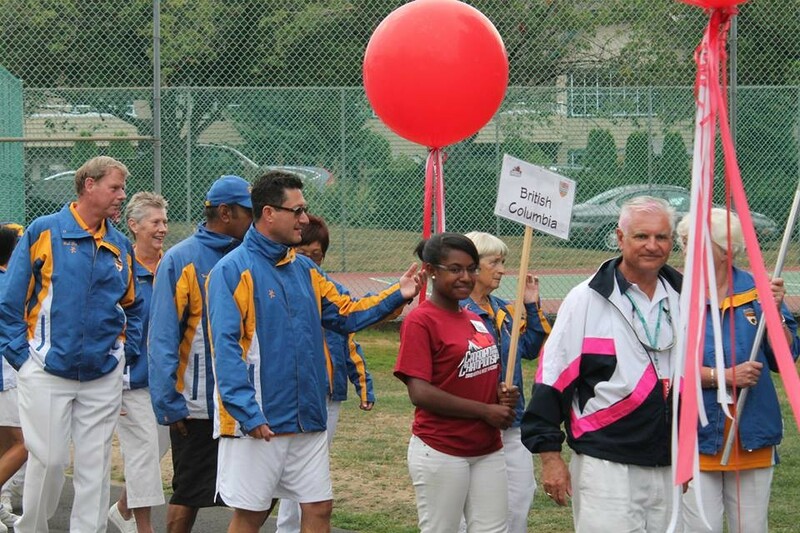 As an intentional outflow of the inaugural ‘Celebration and Charity’ initiative, over $1,000. 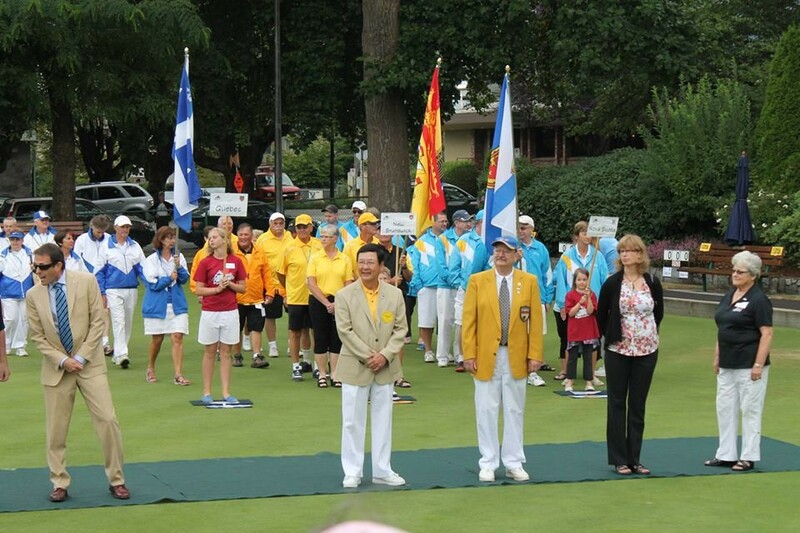 was raised as a donation to the local food bank. 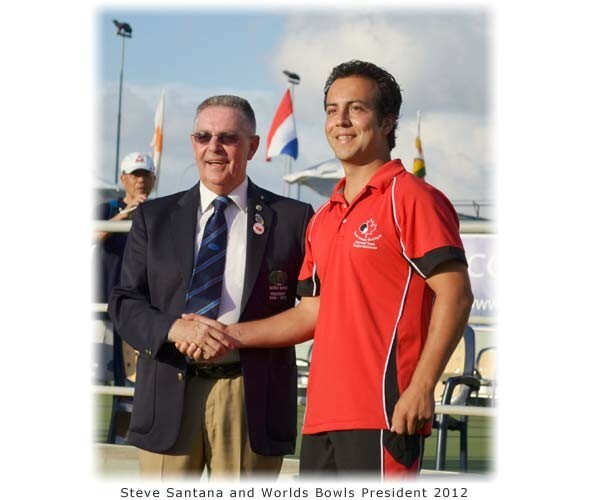 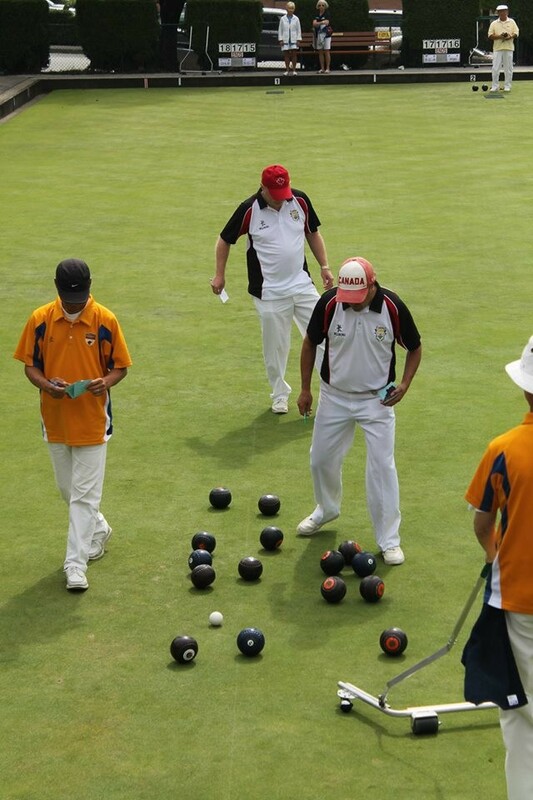 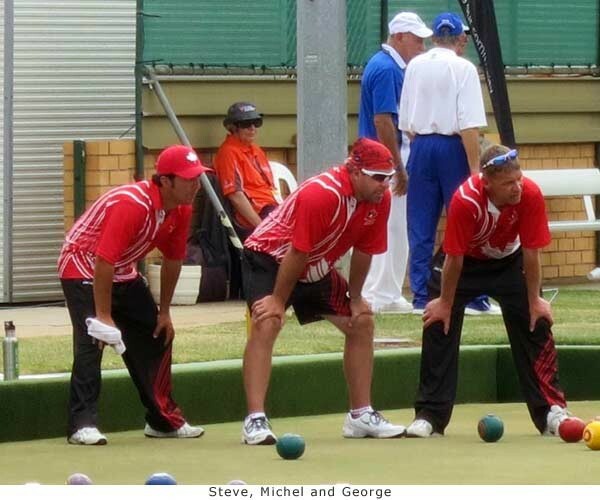 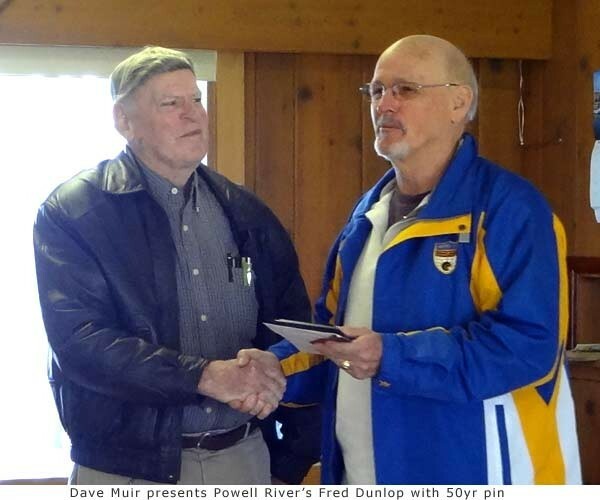 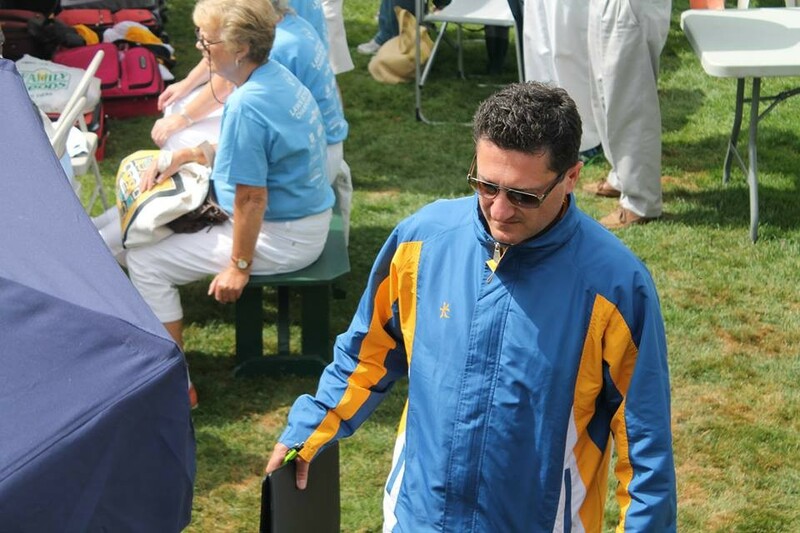 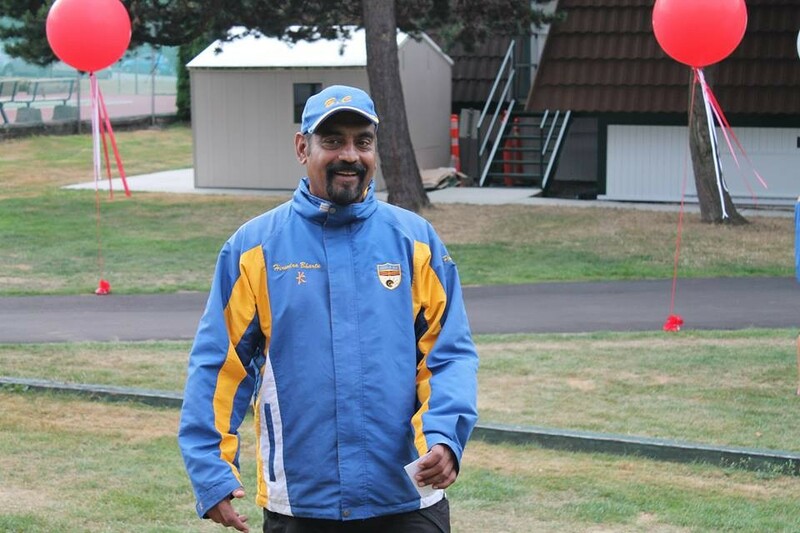 Which serves to endorse an adage well known within the Club: “Good Bowling IS Fun bowling! 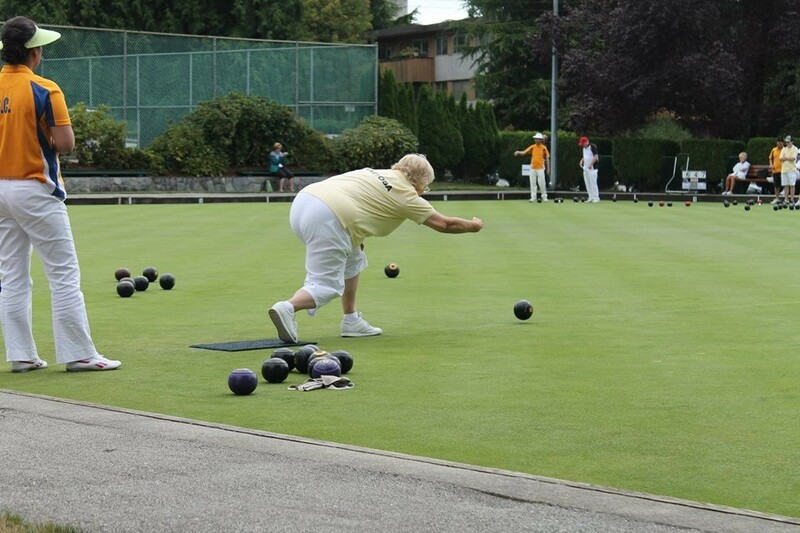 Fun Bowling IS Good Bowling!